1) Log in to your Yeastar and create a new account manager. 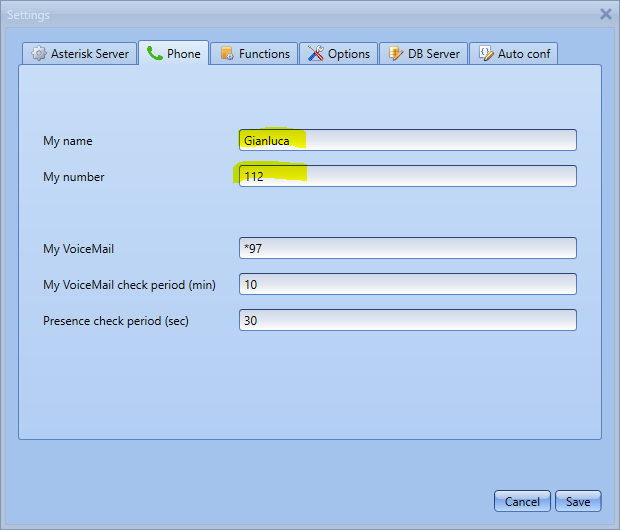 To operate properly, AsterSwitchboard needs at least a manager type account configured on the Yeastar PBX. 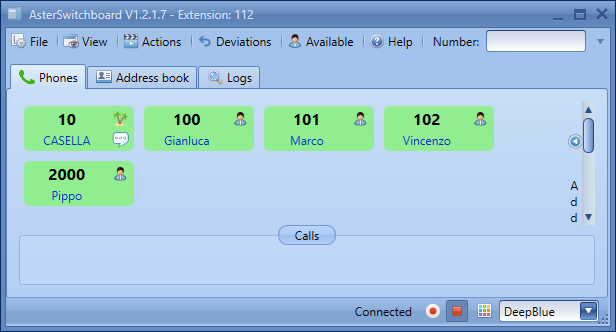 With Yeastar you can create the account manager through a graphical interface. 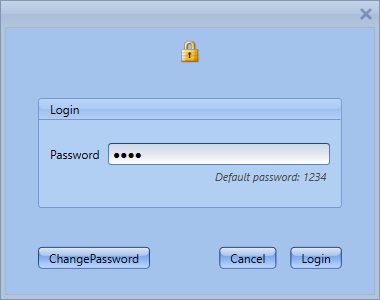 Access your Yeastar via web, log in then select Settings then Security then Service. Flag Enable AMI. 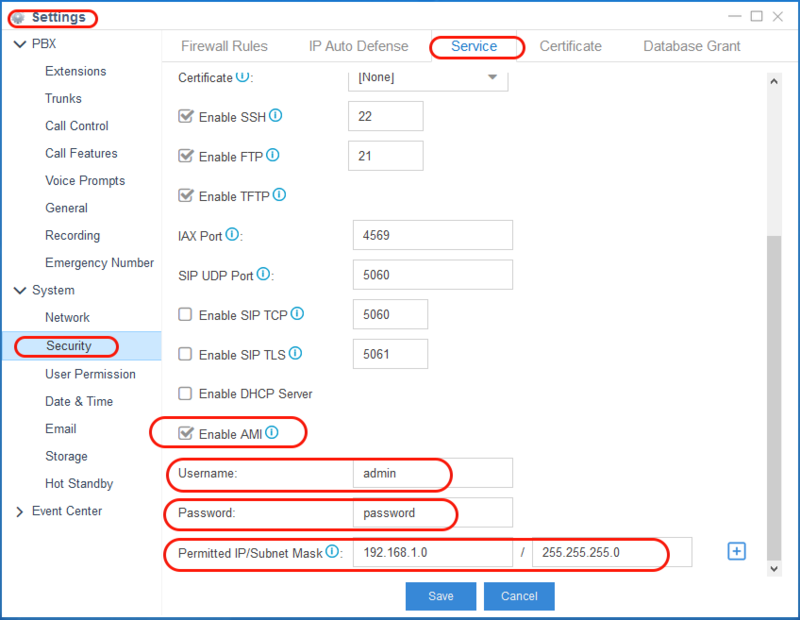 The User Name, Password and IP / Subnet mask fields will appear. See the following figure. 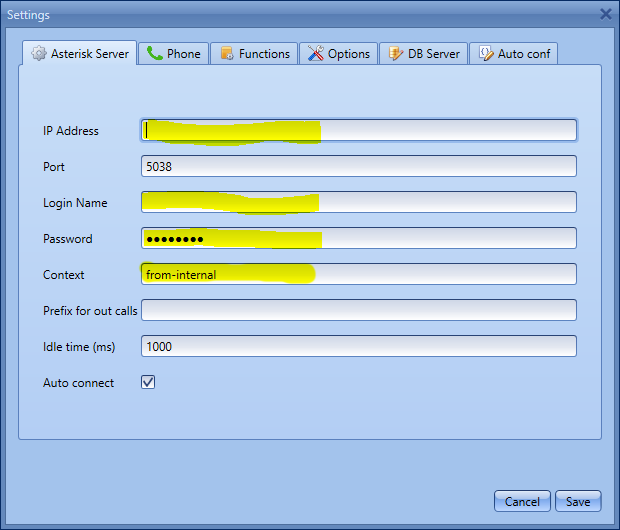 Username, Password and IP address will be used in step 3. 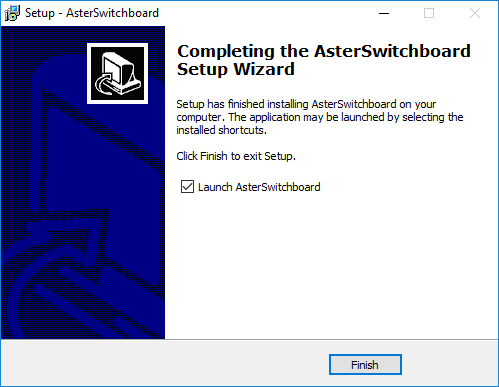 4) Connect to Yeastar PBX to start using AsterSwitchboard. 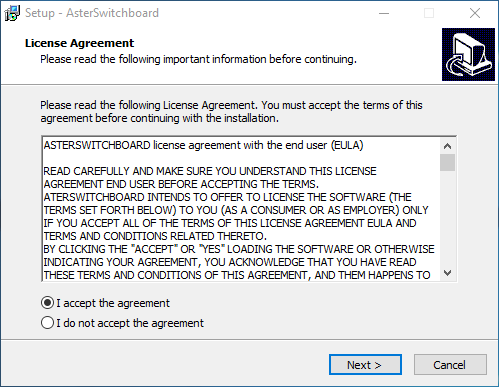 From the AsterSwitchboard menu select Actions and then Connect.